Catmoji Cat toys are fun toys for your cat. The cat toys are made of a soft fleece fabric and have nice feathers. As a result, your cat's hunting instinct will get activated. In addition, this toy contains Madnip! This is even more powerful than catnip and it will make this toy irresistible for your cat. Catmoji Cat toys are cute cat toys made of a nice soft fleece fabric. The nice feathers will stimulate your cat's hunting instinct. This cat toy also contains Madnip. This is a more powerful variant of the catnip. Madnip comes from a special plant in the Asian mountains. Madnip is completely safe to use. Your cat will feel comfortable and relaxed. 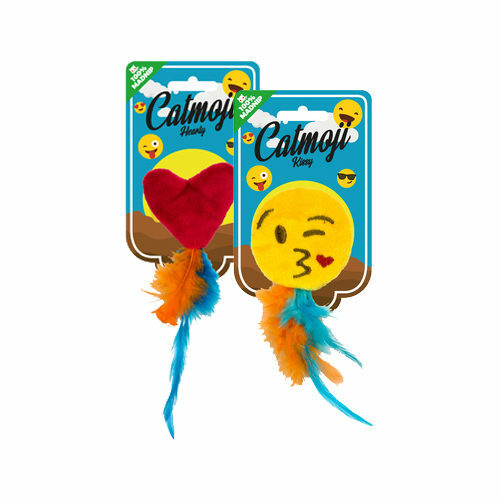 Have you used Catmoji Cat toys before? Let us know what you think about this product.